The jigsaw is a great helper when performing a wide variety of repair or construction works. It allows you to significantly increase productivity and quality of work performed. Having a small weight and compact dimensions, electric jigsaw is often used not only for shape cutting of various sheet materials or profiles, but also for performing straight cutting. To buy a reliable tool that will last for a long time, we studied various types of this tool, consumer reviews and present you with a quality jigsaw rating that will help you choose the right device depending on your needs. In this section, we present you the most popular household jigsaws, we describe their advantages and disadvantages. This review will help you decide which jigsaw is better to buy in terms of price - quality. jigsaw. Availability of a speed-cutting regulator. Convenient fastening of the file, which allows for a quick change of the cutting element. Highlighting the cutting place. Very necessary function with insufficient natural light. Blowing out sawdust from the place of cutting. In the presence of a marking place cut allows you to not deviate from a given direction. The insert, which excludes the formation of chipping when cutting. 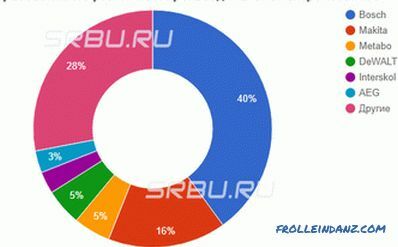 A large number of service centers in Russia where you can repair the tool or purchase the necessary spare parts. Many consumers have noted the inconvenience of work and a weak suction when connecting a vacuum cleaner to collect sawdust. The speed controller is located on the start button. High probability of his failure. Results. 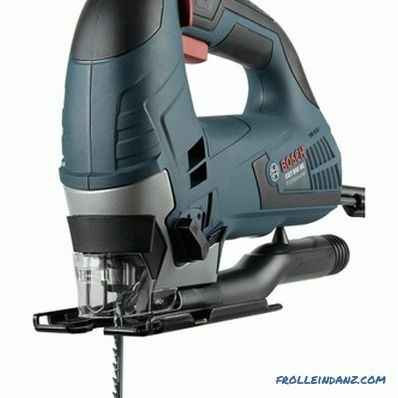 Jigsaw Bosch PST 900 PEL is an excellent option for use in the home. The optimum power of the tool (620 W) allows you to perform longitudinal and figured cutting of materials such as wood, plastics of various types, metal, ceramic tile, rubber. 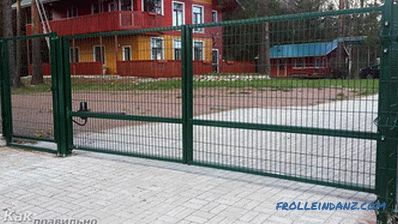 Cutting of materials of the following thickness is allowed: steel - 8 mm; wood - 90 mm; aluminum - 15 mm. The jigsaw design allows cutting of materials with a 45 degree tilt angle. For accurate and accurate cutting, there is a Cut Control control system that allows cutting exactly along the marking line. Taking into account the technical parameters of the tool, it is possible to say with confidence that this jigsaw is equipped with everything necessary for housework. jigsaw. 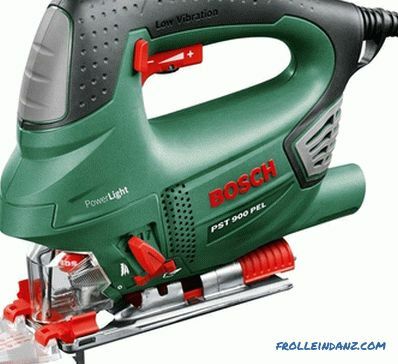 High build quality, matching the Bosch brand. Lack of vibration during operation due to the existing anti-vibration system. Virtually no heating during long-term operation. Adjustment of the speed of the file is made by pressing the button. Availability of a special case for collecting sawdust or the possibility of connecting a vacuum cleaner. A very convenient keyless system for changing the cutting saw. Availability of several files in a set for working with various materials. Possibility of cutting material at an angle of up to 45 degrees. Case for storing and carrying a jigsaw. Electric cord of insufficient length. The aluminum sole often leaves traces, especially on light colored materials. There is no illumination of the work area. Poor design of the nozzle from chipping. The weak screw of the angle adjustment mechanism. Results. Jigsaw Bosch PST 800 PEL is perfect for woodworkers, where high cutting precision is not required, it will save a lot of time and effort than using hand tools. Due to its low weight, it is possible to work with already fixed boards or bars, even on an outstretched arm. Also perfect for home craftsmen to work with sheet materials. Low weight and compact size. Availability of a case for storing tools and additional accessories. Excellent cutting accuracy, during operation, the saw does not lead to the side. The tool does not heat up during prolonged use. Existence of the pendular course and a regulator of frequency of turns. There is blowing of sawdust and the possibility of connecting a vacuum cleaner. Lack of system for quick change of cutting tools. The need to purchase a special lining on the sole, as it can leave marks on the material being cut. It is difficult to set the required angle when cutting material at a certain angle. Results. 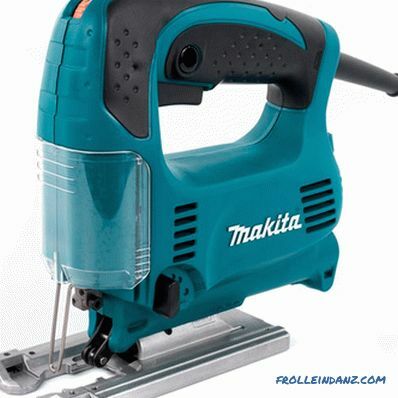 The electric fretsaw Makita 4329 K perfectly will be suitable for performance of any operations on a cut of materials. With it, you can make cutting of wood (up to 65 mm), metal, plastic. This tool will be a good helper when performing a large number of construction and repair work, in the conditions of a home workshop. jigsaw A neat and sharp cut of any material. Comfortable ergonomic handle and compact dimensions. Blowing out sawdust from the place of cutting. Allows you not to deviate from the marking of the cutting line. The cast frame, poured into plastic, has a rigid structure, but the material is not damaged. The cutting tool changer allows you to quickly change files. Accessibility to the motor brushes, allowing them to be replaced without contacting the service center. The presence of a cover in the kit for carrying the tool. Inconvenient start button located on top of the tool. 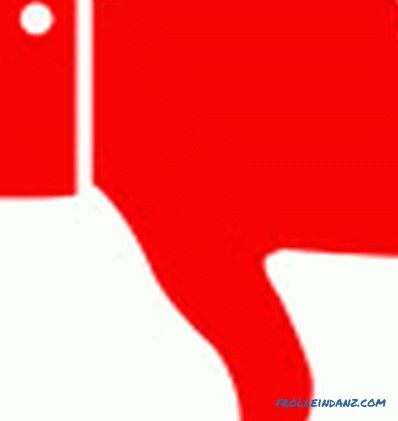 The on-off button is of poor quality, so it often fails. Insufficient power (440 W) for working with thicker materials. Lack of control of the cutting line, making it difficult to cut curved parts. Heats up with prolonged use, poor cooling system. Results. This jigsaw is perfect for those who do not plan to engage in work with solid materials of large thickness. The greatest thickness of cutting wood materials - 40 mm. 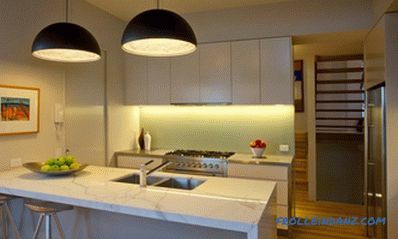 It can be recommended to masters engaged in laying laminate or working with OSB, chipboard or fiberboard with small amounts of work in a home workshop. 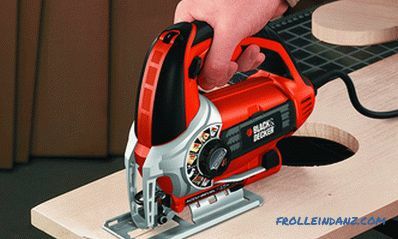 Professional electric jigsaw models differ from household tools in that they can be operated at higher loads and for a longer time. They are characterized by increased power and increased operating parameters. Using such tools it is allowed to cut material from wood 80 ... 120 mm, and from metal 5 ... 30 mm. In the next section, we will introduce you to the best electric jigsaws for professional use and review the most popular and successful models. The high power of the tool is 720 watts. Existence of a switch fixing system. Soft start at start of work. The pendulum can be installed in 4 positions. There is illumination of the work place of the saw and removal of sawdust from the working area. It is allowed to operate in any spatial position. There is a system that provides constant speed when the load changes. Comfortable for work, ergonomic, handle. Jigsaws made in Romania, I have a low build quality. The included files leave much to be desired. It is recommended to purchase higher quality consumables. A cord for connection to an outlet of insufficient length. Lack of sawdust blowing, as a result of which the marking lines are not visible. There is no lock button against unexpected activation. Results. 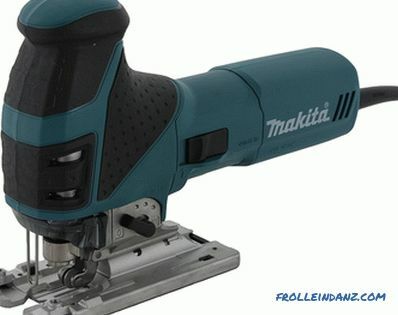 Jigsaw Makita 4351 FCT will be a great helper in the household, as well as masters who are engaged in the implementation of construction or repair work. In the professional-grade jigsaw rating, he is recognized as the most high-quality and reliable tool. This device is often used in workshops for the manufacture of furniture, as the appropriate power and the presence of a special nozzle to protect the material from scratches allows you to work with laminated surfaces. Due to the clean, without chipping, the place of cutting, you can get very high quality workpieces and parts. Very fast and accurate cut along the marking line. Ergonomic design, convenient for work. Due to the high power, long files can be used. Adjustable outsole in both directions up to 45 degrees. Excellent keeps the set momentum even under load. Lack of illumination of the working area. Not enough powerful blowing of sawdust. Results. The electric fretsaw DeWALT DW 333 K can be used for rectilinear and figured cutting of any materials. Such a tool is suitable for professional builders and manufacturers of furniture products. Thanks to a very precise and smooth course of work, the cuts are perfectly flat, without chips and scoring. A powerful engine (701 W) allows you to cut materials of great thickness. Jigsaw significantly increases productivity without costing extra human strength. fret-saw; Easy enough to use, it allows you to perform operations without prior preparation. Fast and precise cutting of any material. Quick and convenient change of cutting elements without the use of any tools. There is a special case for storing and transporting a jigsaw in which it is convenient to carry tools and store various parts. No high level of noise during operation. Availability of an electronic speed controller that can withstand a certain speed regardless of material thickness and load. Smooth start-up when starting work. It is possible to cut the material at different angles. Unreasoned change of the angle of the saw cut. There is no system for connecting to a vacuum cleaner. The problem is eliminated by the acquisition of additional required details. Some users complain that the jigsaw is “tall” and for this reason not all can be used. Results. The jigsaw can be successfully used in various repair and construction works, and will also be your assistant in the garage when working with metal. The tool has a sufficiently large capacity, which allows it to withstand quite large loads and work for a long time. fret saws High quality of parts and assemblies that distinguish Bosch products. High power - 600 watts. Long wire for electrical connection. Very soft sawing, without vibration and excessive annoying noise. Speed ​​adjustment is performed by pressing the button. Smooth, without turning to the side, the line of cut in any position. Convenient, quick-release mechanism for changing the cutting file. 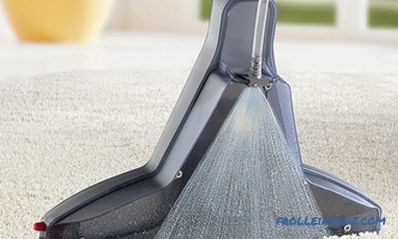 There is no dust when working with a connected vacuum cleaner. This factor is especially important if you need to perform work in cramped conditions or in a residential area. No case for storing and carrying tools. An inconvenient system for changing the angle of inclination, especially if you need to frequently perform this operation. Lack of illumination of the cutting line. For work in the vertical or ceiling position, the hand quickly gets tired due to the large mass of the tool (2.3 kg). Results. Bosch GST 850 BE can be used by professionals to perform the most complex and accurate work. Thanks to the four-step system of the pendulum mechanism, the electric jigsaw allows both rough and fair cutting of the material. Such a tool will be useful both for craftsmen working with wood and with metal during various construction and repair works. Many companies are engaged in the production of electric jigsaws, but the tool of the following companies is considered the most popular and popular. This is a German company that manufactures various types of electrical appliances and power tools. Vacuum cleaners, washing machines, irons and other equipment of this company are known to many consumers. 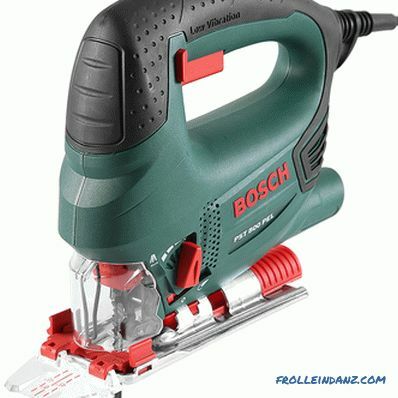 Masters engaged in construction work, often use the tool of this company.Bosch jigsaws are available in two colors - green, for household use and blue, for professional use. The products are of excellent quality and long life. One of the most famous and popular brands in the market of construction tools. This is a Japanese company that specializes in the production of electric and gasoline tools. 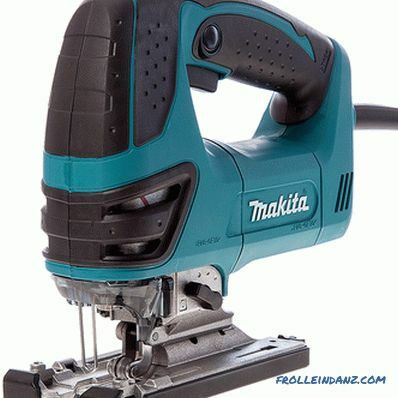 Consumers say the reliability of the Makita electric jigsaw for a long time. The company offers both low-end models and tools for professional use. 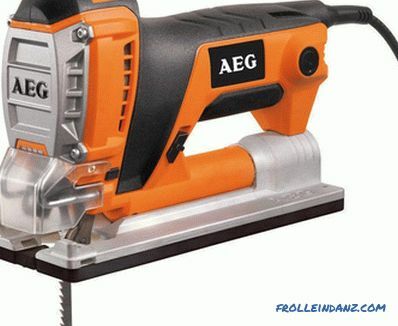 A fairly young German company that just recently started producing power tools for various purposes. 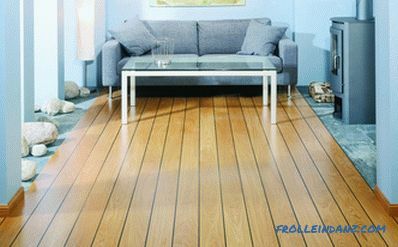 The products of this company are manufactured exclusively in Germany, which indicates the high quality of the finished product. Metabo jigsaws are equipped with modern electronic devices and mechanisms that ensure stable operation in all modes. The electrical products of the Dutch company Skil have a wide range of applications and are designed to perform various types of construction and repair work. This product has an excellent combination of price / quality. Skil jigs have proven themselves in cutting various materials, including increased hardness. Equipped with devices that increase the comfort and quality of operations. 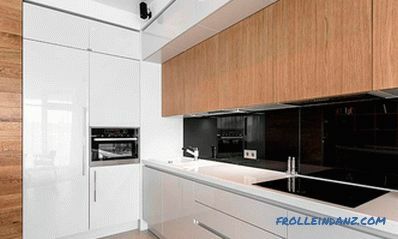 The products of this company are widely known in many countries around the world for their quality and reliability. Power companies of the company occupy a leading position in sales, which allows the company to increase production and expand the range of products offered. Constant perfection and modernization of products ensures high quality and competition in the power tool market. 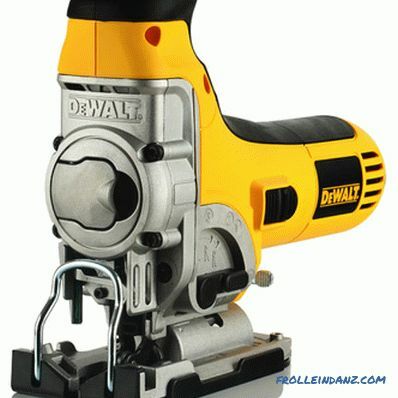 Any rating of electric jigsaws shows that DeWalt tools always occupy a leading position. The company produces a very large assortment of power tools and garden care equipment. The products are distinguished by thoughtful solutions and high reliability. In its work, the company Hammer always focuses on the buyer and his requests. Thanks to this policy of doing business, the product line of this company is constantly updated with new models. 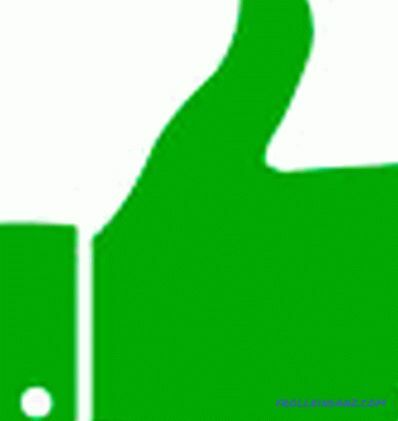 The selection of products is made on the basis of reviews, opinions and ratings of users posted on various resources on the Internet. All information is taken from public sources. We do not cooperate with manufacturers and trademarks and do not call for the purchase of certain products. The article is informative.